Is your dingy basement in need of a new floor? Are you hesitant to lay carpet or wood flooring because of the occasional dampness there? Basement floor coatings might just be the right choice for your home. Such coatings offer beautiful, yet durable floors that will last a lifetime. At Prestige Floor Coating, we have developed a unique and proprietary floor coating formula designed specifically for east coast concrete. We have dozens of colors and designs available, including color combinations for your favorite collegiate and professional sports teams! Our floor coatings are VOC free, durable, and guaranteed for life! What Are Basement Floor Coatings? Basement floor coatings from Prestige Floor Coating are made of industrial-grade resins that bond to the molecules in concrete, creating a durable, impenetrable, moisture-repellent floor. Our floor coating product is applied directly to your concrete basement floor. The process take about two to three days, depending on the size of your basement. It then takes about three hours in a climate controlled area to dry completely. Once dry, your new floor is guaranteed not to peel and our product’s 600% elasticity makes it resilient against cracks. Durability — Our basement floor coatings are guaranteed not to peel for the life of the floor. Adaptable — Basement floor coatings are available in a rainbow of colors. There’s something to make any decorating scheme. Moisture resistant — Unlike carpeting or hardwood, floor coatings are resistant to moisture and water damage. These floors repel water rather than absorb it. Easy to maintain — Cleaning you floor coating is easy since spills just sit atop the flooring. A damp cloth or a mop are all that you need to keep your floor looking lovely. Stylish — In addition to being durable, moisture-resistant and easy to clean, our basement floor coatings offer an attractive alternative to cold, industrial-looking concrete. Warmth — Where concrete floors absorb the cold for the earth below, a basement floor coating helps to keep your rooms warm and toasty. Schedule An Estimate For Basement Floor Coating in Severna Park, MD Today! Prestige Floor Coating has been helping business and home owners create beautiful and durable floors for more than 16 years. Over that time, we have helped more than 40,000 customers and applied more than 30 million square feet of floor coating material. Suffice it to say: we know what we’re doing when it comes to floor coating products and installation. We employ our own chemists and we design and produce our own coating product. We’re so confident in its durability that we offer a lifetime warranty on our installations. 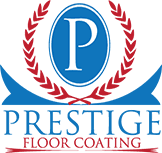 To learn more about how Prestige Floor Coating can help you with your flooring needs, call us at 443-519-2628.